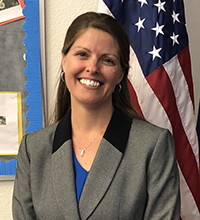 It is with great pleasure that I have the opportunity to write to you as the new principal of Queen Creek Elementary School. I am very excited to be a part of the Queen Creek family beginning the 2018-2019 school year. I have been dedicated to the education of children for more than 20 years, most recently as a principal. During my tenure, I have worked as a classroom teacher, dean of students, title I school improvement specialist, as well as a classified employee. My passion is children, their academic and emotional growth. In addition to education, I am family oriented. I am married to my best friend, and together we have six beautiful children ranging from ages 5-18. We are an active family! Cycling, swimming, boy scouts, girl scouts, synchronized swimming, and college to name just a few of the activities that permeate our calendar. Alongside teachers, staff, students, and community members, I will work hard to continue the traditions of Queen Creek Elementary School. We will continue to maintain our focus on academic skills and provide the very best learning opportunities for our students. 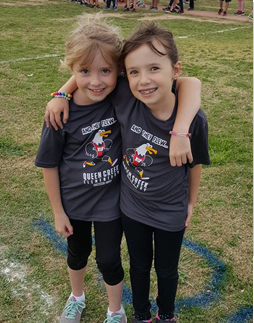 As principal of Queen Creek Elementary, it is important to me to create an environment where everyone feels safe: safe to learn, safe to step outside of our comfort zones, and safe to make choices that better our community. My door is always open; please feel free to stop by, call or email. Thank you, again, for allowing me to be your principal and for trusting me with your students each school day.